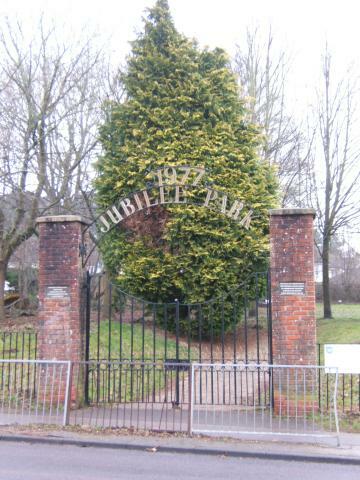 In 1977, Whitehill Parish Council wished to celebrate the Silver Jubilee of Elizabeth II by Opening a new recreational open area to be named Jubilee Park. Ornamental wrought iron gates were designed and made for the entrance to the park by SEME at Havannah (now Prince Philip) Barracks by kind permission of the Garrison commander Brig. Martyn.W.Clark. The park was officially opened by Brig Clark on 13th July 1977.